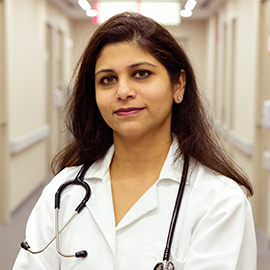 Dr. Astha Dayal has over 13 years of extensive experience and training in the field of Obstetrics and Gynaecology. She has a vast body of experience having worked in Hospitals like Lok Nayak Hospital, Maulana Azad Medical College Delhi, Medanta, Artemis Hospitals and The Cradle in Gurgaon. She finished her medical education and specialist training in Obstetrics and Gynaecology from Maulana Azad Medical College, New Delhi and MRCOG from Royal College of Obstetrics and Gynaecology, London. She has a diploma and fellowship in laparoscopic surgery and a FOGSI Fellowship in Infertility from Sir Gangaram Hospital. She is a member of the Royal College of Obstetricians and Gynaecologists, London (RCOG), Federation of Obstetric and Gynaecological Societies of India (FOGSI) and World Association of Laparoscopic Surgeons (WALS). Her expertise lies in the medical and surgical management of women’s health problems, managing high-risk pregnancies, advanced laparoscopy and hysteroscopy and reproductive endocrinology.